Do you like noise? Probably to some extent, right? 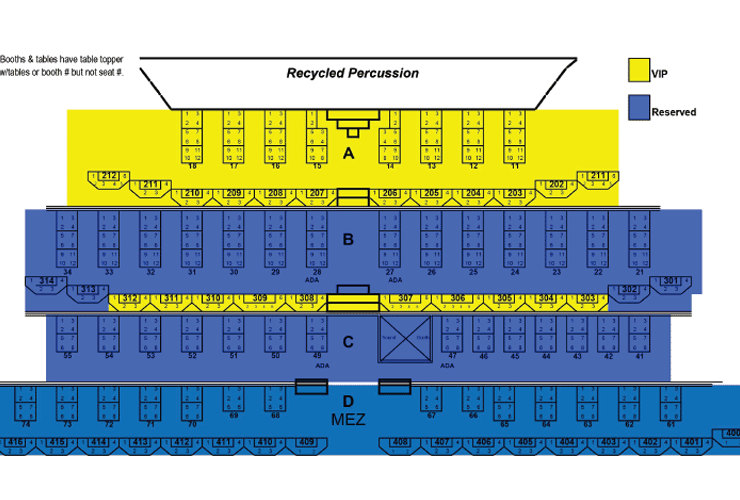 Well, what about rhythmic noise that’s produced through the use of recycled junk, such as car parts, buckets, and other everyday items that have been tossed aside? 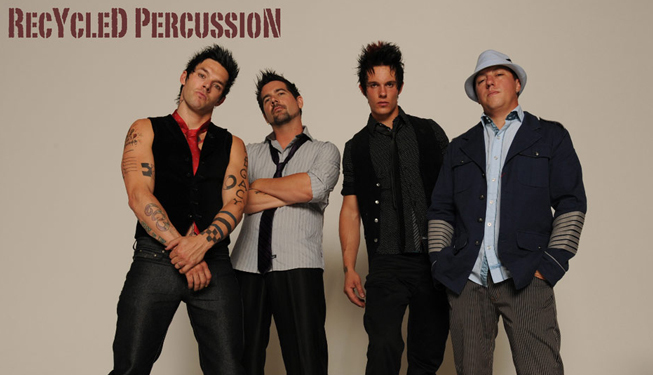 If so, than you’ll surely enjoy the much talked about performance by the New Hampshire-based percussion band, Recycled Percussion. Once featured on the hit show “America’s Got Talent”, the show is taking its talents on the road in this all-ages interlude from the norm. 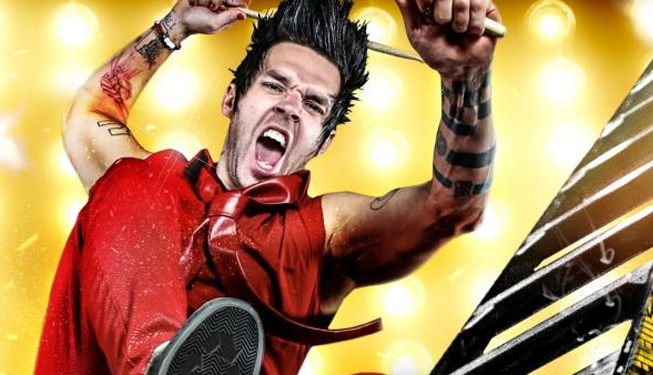 Taking the Quad Resort and Casino by storm, Recycled Percussion is Sin City’s latest trip down the musical lane; but instead of your typical instruments, each sound is created by some form of recycled trash. Ever wondered what drumming on an empty bucket, banging on a ladder, and strumming a broken down piece of car would sound like? While you’d assume it to be nothing more than a cacophony of annoying noises you’d usually try to avoid, the musical talents of this small troupe of artists bend the noises to their will, creating catchy beats that you’ll surely be tapping your feet to for days to come. 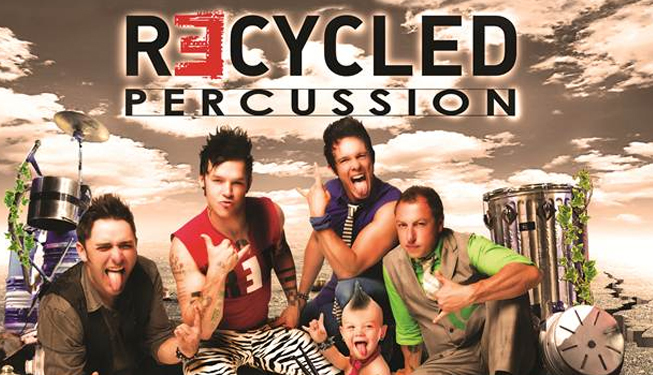 The crew behind Recycled Percussion is a brave one, as it hands out a slew of items to be banged on to the audience, allowing both kids and adults to join in on the on-stage musical talents. Throughout the performance, the audience will be able to participate along with on-screen prompts that signify when it’s their turn to join in. The result is a collaboration of banging that roars from the audience and helps to amplify the extreme good time that you’re already bound to be having. There’s more to the show than just the musical numbers, though. 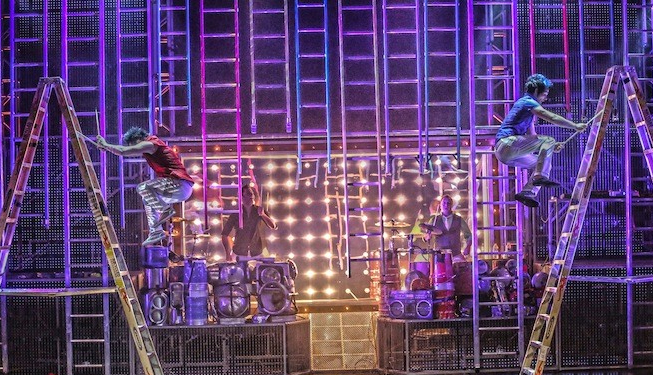 While it may not be on the caliber of a Cirque du Soleil production or Absinthe at Caesar’s Palace, Recycled Percussion comes with its own assortment of acrobatic feats. One such memorable moment pits two percussionists, Justin Spencer and Ryan Vezina, with the task of continuously drumming while climbing ladders. If that doesn’t sound dangerous enough, the two proceed to jump from ladder to ladder, all the while keeping in perfect rhythm. It’s acts like these that really help drive home the hard work and dedication that these performers have for their craft. 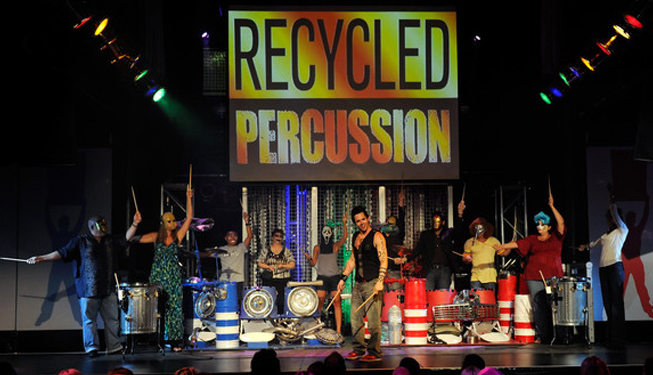 Though the name designates something that has been tossed aside and reused, Recycled Percussion is all but a recycled performance. 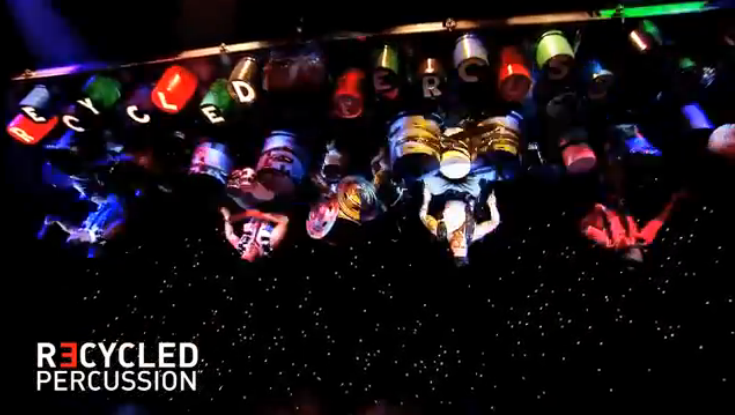 The fresh spin that this quartet of percussionists puts on this form of musical performance make Recycled Percussion just as much of a standout experience as something like Blue Man Group. 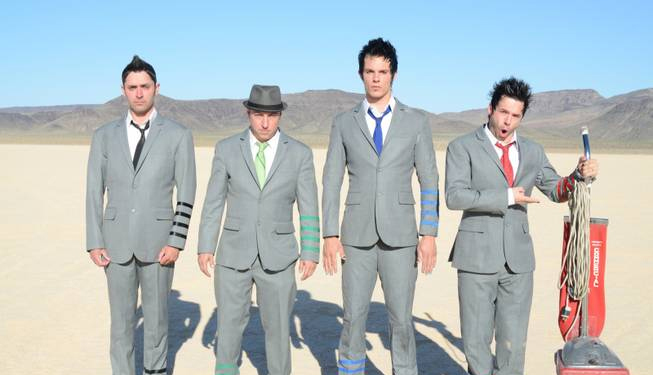 If Recycled Percussion is right up your alley – and really, it should be up anybody’s – than you’ll want to call Exploring Las Vegas for optimal tickets, seating, and pricing. This is not an experience you’ll want to miss out on., and its audience interaction and “friendly for all ages” style ensures that even kids will get a kick out of it.